Microsoft has been working hard to coax popular apps such asPandora and Tumblr over to Windows Phone in recent months, and in the coming days, Instagram and Flipboard will be the latest mega-popular smartphone apps added to that list. But despite the numerous big name "gets," Microsoft is still trailing Android and iOS when it comes to apps. To skirt around its shortcomings, Microsoft is turning to creating "web apps" for a number of popular brands and websites. A new section on the Windows Phone Store called Microsoft WebApps, first spotted by ZDNet's Mary Jo Foley, offers a number of downloadable, pinnable web apps that are basically app wrappers for popular websites, and nothing more. 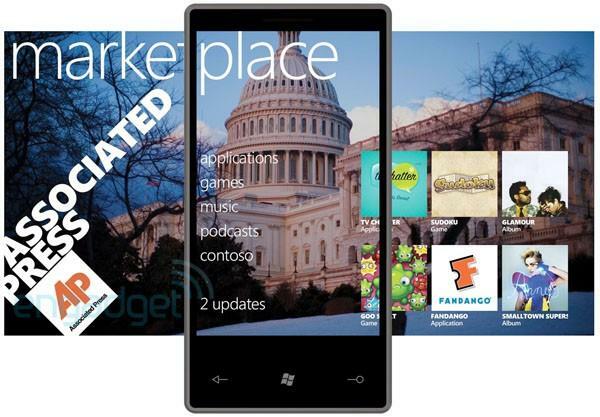 The hope is that WebApps for Windows Phone will encourage companies to develop full-blown native apps for Windows Phone. Microsoft is currently offering more than 40 Web apps including Blockbuster, CarMax, Food Network, Glassdoor, Jimmy John's, Listverse, TMZ, and Orbitz. As the previous list suggests, Microsoft's WebApps are mostly mainstream retail outlets and some popular websites. "These are not a replacement for native apps," a Microsoft spokesperson told ZDNet. "In most cases we hope that usage of the Web App will encourage the [website owner] to publish its own native app." While web apps aren't a replacement for apps written in native code, they are a good stopgap to fill out any holes in the Windows Phone app catalog--but this approach can only take you so far. If a service doesn't have a well-supported mobile website that offers a similar experience to a native app, then there's little point to creating a pinnable web tile. Nevertheless, a combined effort to woo developers over to Windows Phone with direct appeals and Web app development could help Microsoft in its quest for app parity with Android and iOS.